While the French Open for the men looks to be at most a two-horse race, the ladies tournament looks set to be one of the most open Grand Slam tournaments for many years. With at least ten players who will consider themselves in with a realistic chance of winning the title, predicting a winner is a tough proposition. However, we shall look in more detail at some of the leading contenders to try and pinpoint the true champions and the pretenders to the title. In this first part, we look at four of the leading contenders: Serena Williams, Maria Sharapova, Victoria Azarenka and Na Li. The resurgent Serena Williams is one of five former Roland Garros champions in the draw this year. 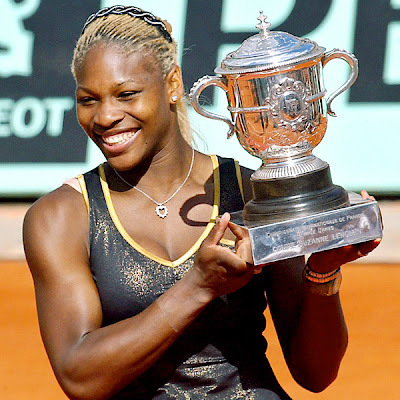 It was exactly ten years ago that she defeated her sister, Venus, to lift the trophy and mark the beginning of the ‘Serena Slam’. However, she has not reached the final of the French Open since then – a semi-final in 2003 and four quarter-finals being the best that she has achieved. This year seems to have marked a change though. Her performances on clay this year have astounded even her biggest fans. She is yet to lose a match, having won titles in Charleston and Madrid, has only dropped two sets, and has crushed her leading rivals. In Charleston, Sam Stosur was dispatched for the loss of only two games, while in Madrid, both Sharapova and Azarenka could take only four games each as the power of Serena simply proved too much. It was Stosur who shocked Serena in the final of the US Open last year. Going into the final, there seemed to be only one winner. Azarenka, Ivanovic, Pavlyuchenkova and Wozniacki had been dismantled in straight sets and Serena was on an 18-match unbeaten run. However, Stosur produced an outstanding display of power hitting to stun Serena in a match that unfortunately will be better remembered for Serena’s unsavoury outburst against the umpire. She will begin her quest for her 14th Grand Slam title against Virginie Razzano. The first real test is likely to come against Julia Goerges in the third round, before a meeting with either Kaia Kanepi or Caroline Wozniacki sets the stage before arguably one of the most anticipated matches of the tournament – a potential meeting with Maria Sharapova in the quarter-final. Should she get through that, the defending champion, Na Li, or Petra Kvitova should await in the semi-finals. She has the talent and power to beat any of those opponents, even on her least favoured surface. However, over the course of a Grand Slam, she will often throw in a careless performance. Whether that performance comes against a player that is capable of beating her will likely determine if she can win a second French Open title. The French Open is the one title that currently eludes Maria Sharapova. She has won Grand Slam titles at Wimbledon, Flushing Meadows and the Australia Open, but the Roland Garros title continues to elude her. For the world’s highest-paid female athlete, it is virtually the only hurdle that remains. After a difficult few years with injury, she has returned to her very best form in the past twelve months. She equalled her career-best semi-final appearance in Roland Garros last year, reached the final of Wimbledon and again reached the Australian Open final earlier this year. However, as with Serena, it is her improved performances on clay that have really caught the eye over the past month. Before this year, she had only three titles on clay, two of which were in relatively minor tournaments. She has admitted that she struggles on the surface, labelling herself as ‘a cow on ice’ on the clay. This year though, she has won high-profile titles in Stuttgart and Rome on the clay, beating world number one, Victoria Azarenka, in Germany, and the defending French Open champion, Na Li, in Italy. The draw early on has been relatively kind to her. Alexandra Cadantu, despite being a clay-court specialist, should provide little trouble in the first round, while Hercog or Morita should be no greater issue. In the third round, Shuai Peng has struggled to reproduce the form she showed last year, while her likely opponent in the fourth round, Maria Kirilenko, has had injury problems in the past couple of weeks. It is the potential clash with Serena in the quarter-finals that will stand as the benchmark of whether she can win this title. Win against the tournament favourite, and it would take a brave man to back against the Russian going all the way. One of the stars of the 2012 season thus far, the Belorussian goes into the French Open on the back of winning her first Grand Slam title in Melbourne. A 26-match unbeaten start to the season was finally ended in Miami, but she has showed good form in the clay-court swing, reaching back-to-back finals in Stuttgart and Madrid, although crushing defeats in both will have dented her confidence. She has played a lot of tennis in 2012, and it was no real surprise that she withdrew from Rome, although her comments following the decision left a bitter taste. 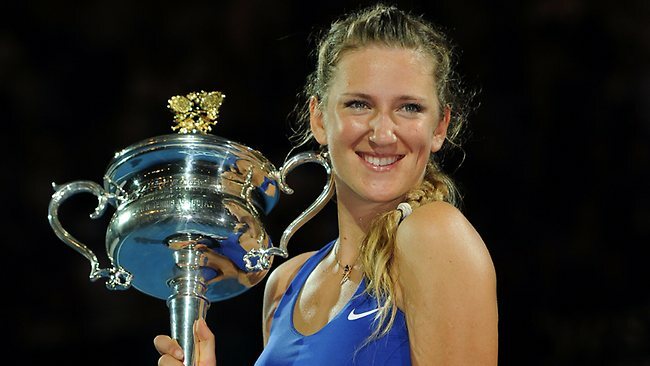 However, while physical concerns have always been an issue for Azarenka, it is her improved mental toughness that has really propelled her to the top of the game. It was a turning point in her career. She won the title in Key Biscayne on her return, and would reach a career-high ranking of number three. Her first Grand Slam title would come in early 2012, and she is now one of the leading contenders for every tournament that she enters. She plays Alberta Brianti first up in Roland Garros, before a meeting against either young French hopeful, Caroline Garcia or a qualifier. In reality, her first real test will come in the fourth round against either Lucie Safarova or Dominika Cibulkova, the Slovak, who came so close to ending her unbeaten run earlier in the year. Sam Stosur likely awaits in the quarter-final before a meeting with Agnieszka Radwanska, who Azarenka has already beaten six times this year. She has never passed the quarter-finals at Roland Garros before, but it would take a brave man to predict an early exit again. She is a different player to twelve months ago, and with many of the danger players on the opposite side of the draw, she will be optimistic about adding a second Grand Slam title to her collection. 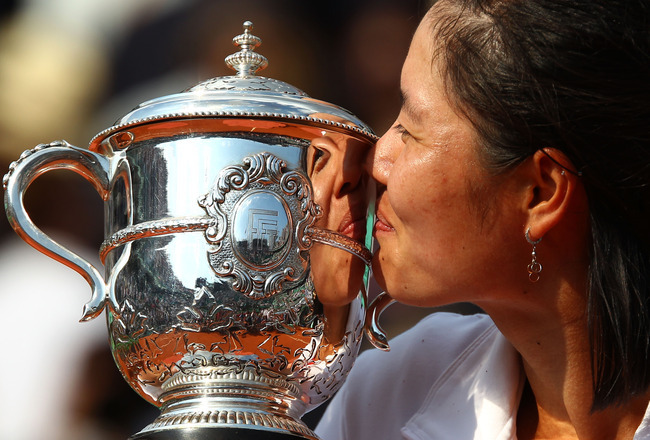 Twelve months ago, Li Na became one of China’s greatest sporting figures by winning her maiden Grand Slam title. She was the first Asian player ever to win a Grand Slam title, but she has struggled to rediscover her form and focus since then. She had four match points against Kim Clijsters in the Australian Open before losing in three sets. She also led Maria Sharapova 6-4, 4-0 in Rome last week before collapsing to another three set defeat. However, the form is clearly there. She is playing some good tennis to get herself into the positions to be closing out the matches against this quality of opposition. While there has been no title since Roland Garros last year, her performances have definitely improved in recent months. She failed to win consecutive matches for over three months after her triumph amid rumours that she was enjoying her success and celebrity a little too much. However, she has a difficult start to her title defence against the much-improved Sorana Cirstea, who has already beaten Marion Bartoli and Jelena Jankovic on clay this year, as well as taking a set of Petra Kvitova in Rome. A difficult third round tie also lurks against either Christina McHale or Mona Barthel, two of the most promising young players on tour. Petra Kvitova likely awaits in the quarter-final before either Sharapova or Serena in the semi-finals. Li Na is undoubtedly capable of beating any player on clay. She proved that last year as she beat Kvitova, Azarenka, Sharapova and Schiavone in consecutive rounds to clinch the title. If she can somehow find a way to close out matches on a more consistent basis, she is undoubtedly one of the favourites to win again in Roland Garros. Donna Vekic: Future Tennis Superstar?